Description: Hand reaches for pack of Andrex. Toilet roll on holder. Toddler walking on soft carpet while supported by adult. Children playing soldiers in a garden, dressed in makeshift outfits, a woman salutes them as they pass. 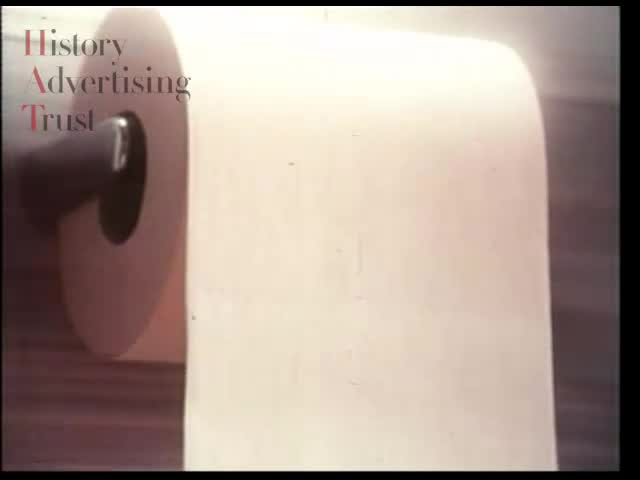 Mores shots of the toilet roll being dispensed. Shot of puppy walking down stairs tangled in Andrex.